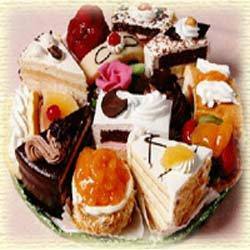 We offer exquisite range of Pastries And Cake which are taken after the main course of the meal. These cakes are prepared using top quality food materials which are further garnished with dry fruits, creams and different kinds of flavors. These are tremendous in tastes and known for their softness and floppiness. We keep these pastries in temperature controlled cabinets to maintain their quality.